By day I am employed as an engineer in order to fund my many hobbies! I absolutely love riding my bike either socially or more recently I’ve caught the racing bug! I also like going to the gym, snowboarding and playing football. 2017 was my first season racing and I’ve really enjoyed it. I managed some good results which is always an added bonus and I hope to improve on those as I go into the 2018 race season. My real claim to fame though is getting my backside on Katy Winton’s GoPro footage at this year’s Red Bull Foxhunt! I’m really excited and grateful to have been given the opportunity to race for Flow MTB this season. I’m really passionate about the brand as well as getting more women out riding! I have already entered the Onza Mini Downhill in January and hope to enter a few more downhill races as I’m keen to give them I try; I’ve previously only raced enduros. 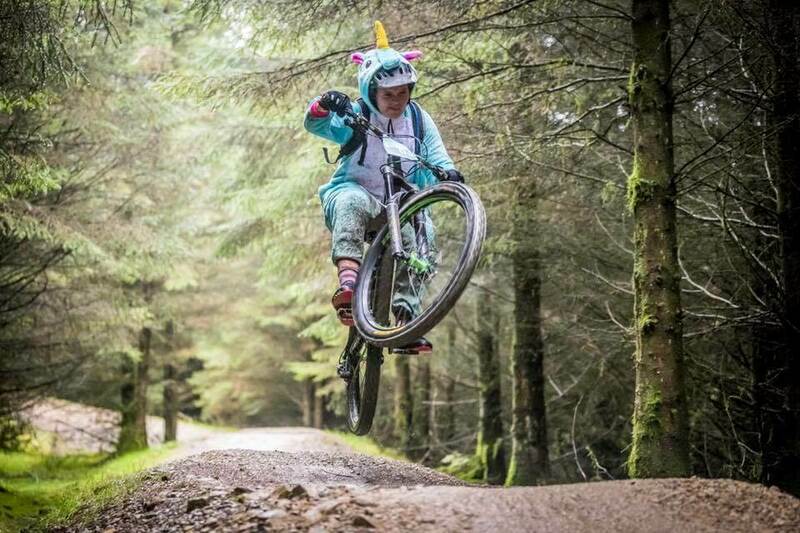 I will be racing the PMBA Enduro series again – my favourite round is Kirroughtree. I have an entry to the Ard Rock Enduro which I am very excited about and I will also be racing a few rounds of the Welsh Enduro series. I’m looking forward to meeting other ladies racing! Keep your eye out for the high octane twins!